Where do we source energy from to produce movement? 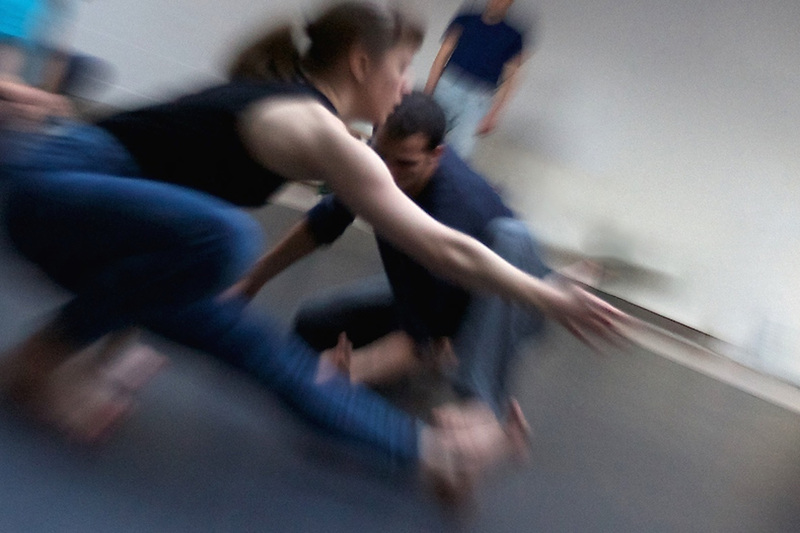 In this improvisation workshop, dancers work with following the visceral sensations and energy of their movements as they empty out through physicality. Using visual images to creatively engage the senses in movement, along with the inner dynamics of one’s own rhythm and breath – dancers blend clarity in physical choices with energetic alertness. Musicality and sensations intertwine, resonating with different layers of imagination to further develop instinctual awareness in space. The goal of this workshop is for participants to playfully yet authentically move outside of the box.